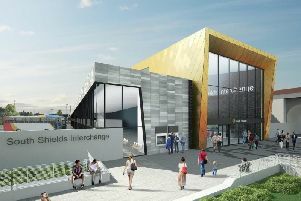 Our writer fears the new South Shields transport hub will merely bring people to a ghost town. Do you agree? In answer to his letter - headlined "Some South Shields roads look like they have been carpet bombed" - It’s the same people who are spending hundreds of thousands to bring a new transport hub into a ghost town instead of looking to develop maybe a covered in shopping area and free parking. The same people who are re-routing the traffic at Tyne Dock unnecessarily causing traffic chaos for very little benefit. It’s time the people of South Tyneside had more say not only about how much money is spent but decisions on what it’s spent on. We need complete transparency and more control.